Thanks to Hollywood hotties like Kim Kardashian, poker straight hair is making waves across the world. Everyone’s running to salons to get straightening treatments and Brazilian blowouts. But, hold on! If you dream of having sleek straight hair, here’s something that can help you fulfil it – hair rebonding products. These DIY kits come with a straightening cream and a neutralizer. These rebonding products break the structure of curly hair permanently, thus making it straight. A neutralizer re-fuses the bonds in your hair and gives it a naturally straight look. 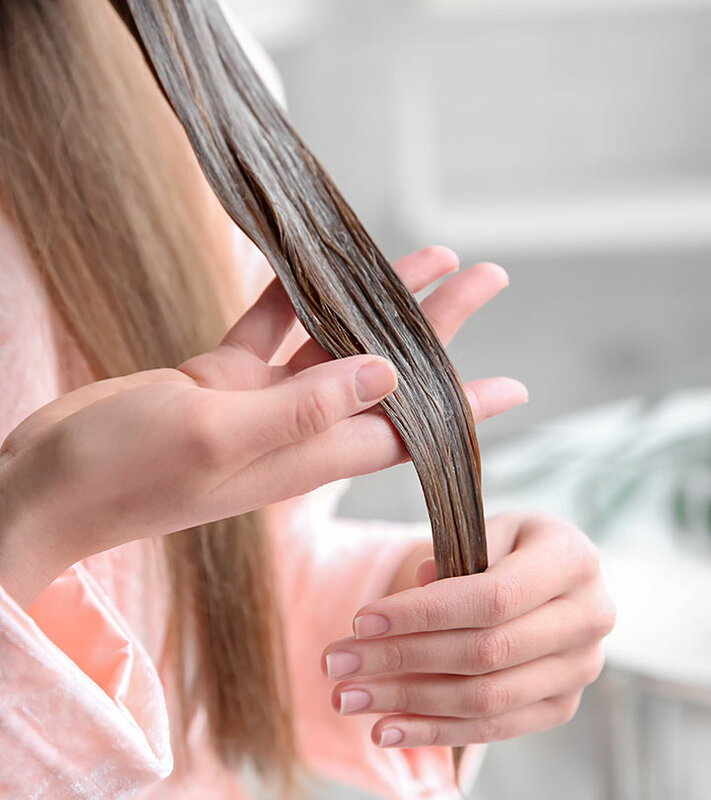 Check out the best rebonding products available on the market right now in the list below. Note: You need to touch up this treatment for the new hair growth every 3 to 6 months. In this chemical process, the natural bonds in your hair are broken with the help of a straightening cream. A neutralizer is then used to rebond the structure of this hair. The altered hair bonds straighten the hair. If you want to know more about this process, click here. 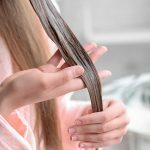 Now that you know how hair rebonding is done, let’s check out the 6 best hair rebonding products available in the market right now. This intense formula can be used on normal to coarse hair. It is specially designed to give you smoother and shinier hair with less frizz. It contains high-quality conditioning ingredients that soften your hair, repair split ends, and reduce breakage to give you healthy and manageable hair. It adds movement and bounce to your hair. The best thing about this product is that its straightened effect lasts for up to 9 months. 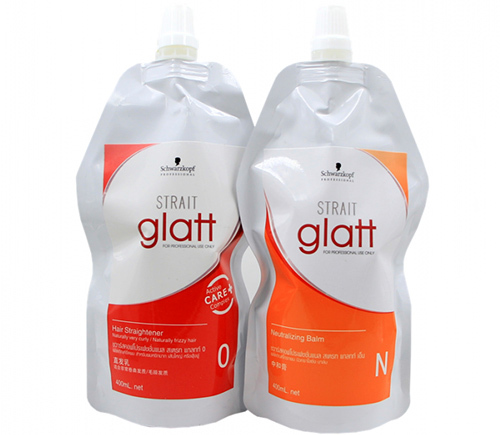 Schwarzkopf Strait Glatt Hair Straightening Cream straightens even the frizziest of hair, making it soft and manageable. The special keratin-care complex in it strengthens the hair fibers. It is designed to straighten naturally curly, frizzy, or wavy hair permanently. It also contains a wheat-based care complex that leaves your hair looking soft, silky, and shiny. 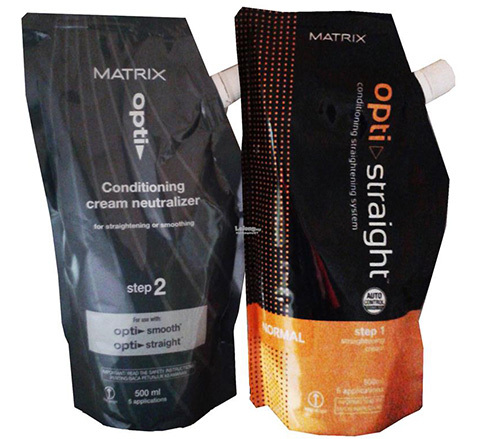 Matrix Opti.Straight Conditioning Straightening System is an in-salon permanent hair straightening product. It not only gives perfectly straight results but also nourishes and conditions your hair. This product’s unique Auto-Control Technology stops the straightening process the moment your hair has straightened completely. This ensures that your hair does not get over-processed and damaged. Another feature that adds to the goodness of this product is the fragrance. It helps neutralize the ammonia odor to give out a pleasant floral fragrance. Opti.Straight is available in two different strengths based on hair type: ‘Normal,’ which is ideal for fine, wavy, and frizzy hair, and ‘Resistant’ for thick, curly, and frizzy hair. The product might be heavy on hair. 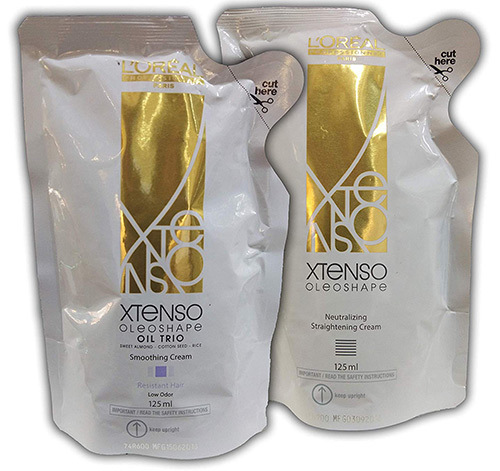 L’Oreal Paris X-tenso hair rebonding set makes your hair smooth and manageable and reduces frizz. It works best on naturally resistant hair. This two-step permanent straightening system includes a smoothing cream and a neutralizer that are used to straighten your hair permanently. It gives your hair a salon-straightened look that lasts for more than 5 months. It volumizes, nourishes, and strengthens your hair. You need to use a flat iron regularly to maintain the straight look. 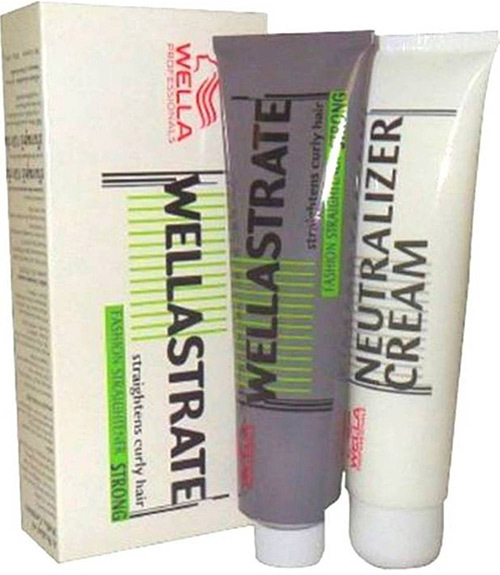 This straightening kit comes with a cream and a neutralizer. The new improved formula ensures ideal structural balance for much stronger and healthier hair. It increases your hair’s capacity to retain moisture. It also prevents your hair from drying out. This dermatologically-tested product is safe for all hair types. 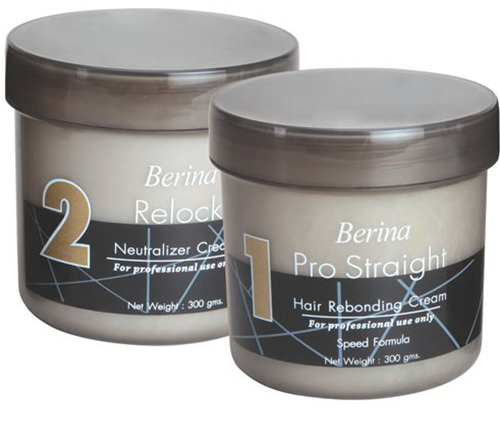 Berina Pro Straight Hair Rebonding Cream And Neutralizer set is created especially for curly hair. It reduces frizz, leaving your hair smooth and silky. It makes your hair more manageable. The straightened hair remains smooth and untangled for days. 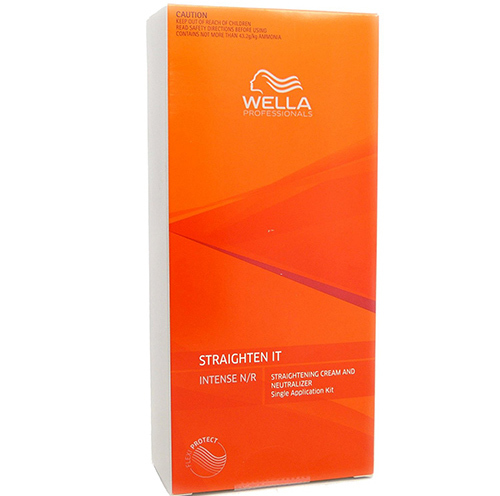 This straightening cream straightens even the curliest of hair while retaining its shine. Get drop-dead gorgeous straight hair with these amazing hair rebonding products. Have you tried any of these products yet? If yes, let us know about your experience in the comments section below.